Another small batch in the books! 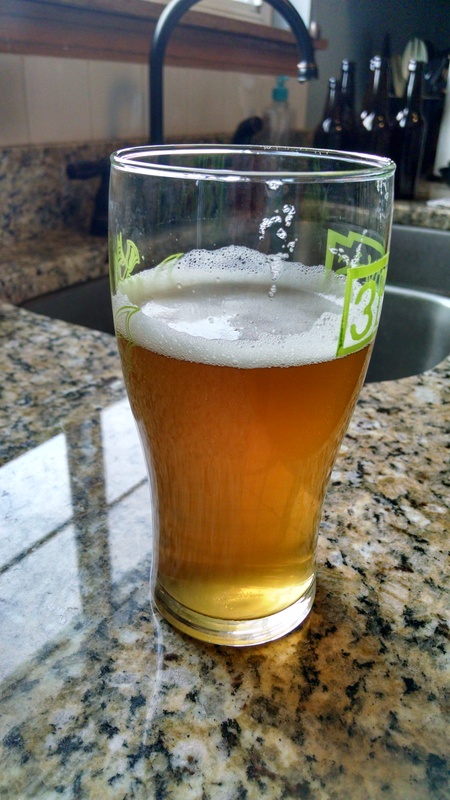 This beer was brewed on 01/25/15. This one is the next in our dog series of brews after Doodleface. To be honest, this beer was a fridge and grain bin clearer, as I had a bunch of odds and ends from prior batches like specialty grains and hops, so I just needed yeast and base malt. 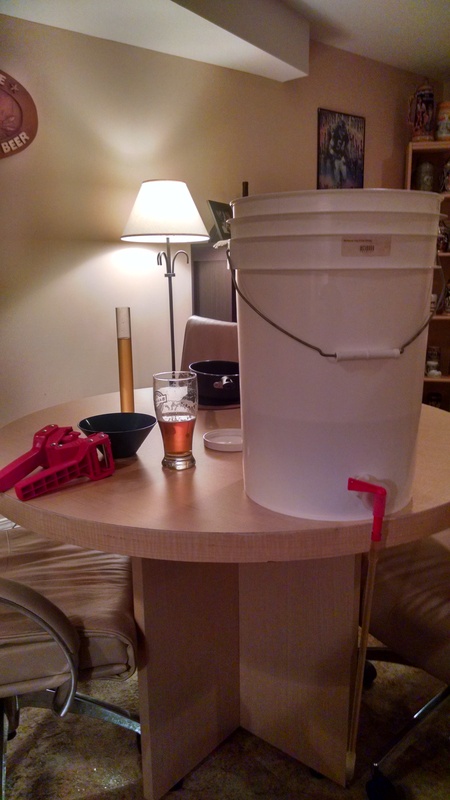 I had just enough left over hops and specialty grains to put together a 2.75 gallon batch. This beer is named for my wife’s parents dog and frequent house guest of ours, Blu Belle. Blu is a sweet, smart, somewhat gassy cross between an English and American bulldog. 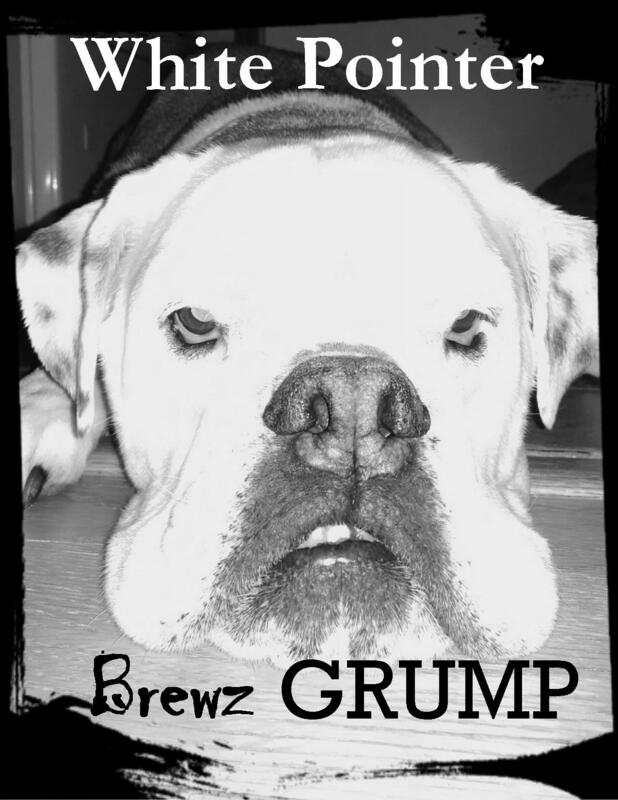 My wife came up with the Brewz Grump name, and I thought it fit Blu well with her grumpy looking bulldog face. To honor her being an English and American mix, I though it would be cool to cross ingredients from the UK and American ingredients. I tend to do this with most of my pales anyway since I love UK base malts, but I thought it was a cool idea. I started with a Golden Promise base. 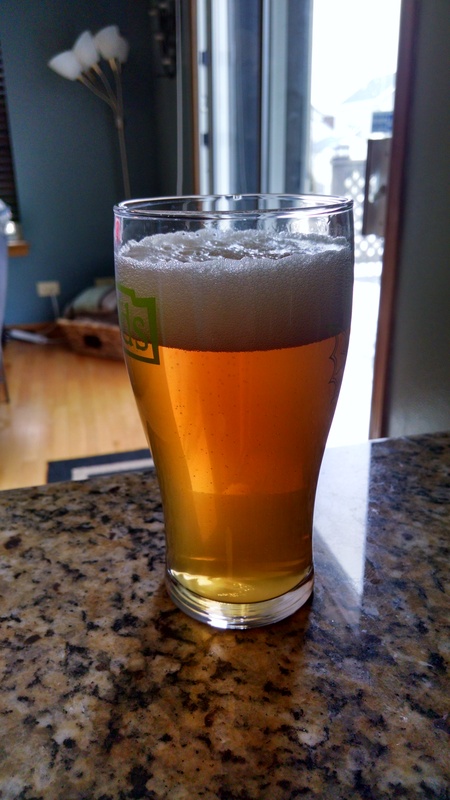 I’ve become a big fan of Golden Promise and Pearl malts as the base of my pale ales. They have more bread like malt character than standard two row, and I can get more malt flavor without too much reliance on specialty grains, which can sometimes muddle the hop flavors if used in excess. I had some leftover caramalt and carapills, and then tossed some oats in for added body. I also added a bit of American Munich malt for some added malt flavor and color. The hops were all from prior batches, most being fairly fresh. I had originally wanted WLP 007 Dry English Ale for the yeast, but my LHBS was out. The guy there knows what he’s doing so I respect his opinion, and he recommended Wyeast 1068 English ESB. Its what’s supposedly used in Three Floyd’s Zombie Dust, so it obviously can complement hops well. I’ve never used this yeast, but it was fun going into this batch with an open mind and no real expectations of exactly how I wanted this to turn out. Bottling Update: This beer attenuated more than I expected it to, but had a nice flavor at bottling. It tasted a bit maltier than expected, but still very nice. The FG came in at 1. 012. Bottling up Brewz Grump while enjoying a Zombie Dust, not a bad Sunday afternoon! Appearance: Brewz Grump poured with a nice fluffy white head that sticks around. The body of the beer is a golden color with some orange/copper hues to it. The beer has a bit of haze from the dry hops and oats, but its still somewhat transparent due to how fast this yeast drops out. All in all a nice looking pale ale. Smell: The aroma of this beer is pretty hop forward. The nose is citrus, specifically some orange notes, but there is a general fruity aroma. There are also some slight earthy pungent hop notes. There’s also a slight crackery malt aroma that’s just behind the hops. Taste: There’s a pleasant bitterness up front, then that quickly fades into ripe citrus and fruity hop flavors like orange, tangerine, and a hint of pineapple. There’s a solid malt base to this beer too. The malt flavors have a cracker and bread like quality, not really caramel like sweetness. The flavors in this beer have a nice balance to them. Its hop forward, but its not a total hop bomb. The yeast profile is pretty clean, but there’s a bit more flavor contribution than American yeast. The yeast does a bit to accentuate both the hops and malt, so it fit this beer well. Mouthfeel: The beer has a dry finish, but its not thin due to the caramalt, carapils, and oats. To be honest, I’m surprised it got as dry as it did, maybe I need to check how many degrees I lose during the mash a bit more carefully. I was hoping for a creamy texture on this one, and it didn’t quite get there. Maybe more chloride in the mash would have helped too. Overall: For a thrown together recipe intended to clear out some leftover ingredients, I couldn’t really have asked for much better. I’m not sure if I’d brew this again over some of my previous pale ales or ideas for future ones, but I’m very happy with the way this turned out, and if I have these ingredients left over again, I’d brew it. The beer dried out a bit more than I wanted it to, but there’s still some nice malt flavor and body to it.